Sydney’s Cull is an entity known for its sonically dense offerings; walking the line between gaze and noise-rock, never falling fully into either category but also never bringing too much to a song. The ideas are usually concise and the execution is sound, nothing overwrought or overdone. ‘Truth Bomb’ is the newest offering from Chumpy Ly and co, peeled off a forthcoming LP due in October. 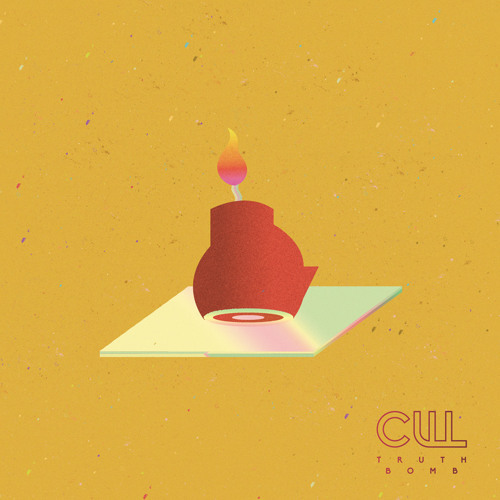 The single is a tune that showcases the versatility of the Cull sound, dipping in and out of full-blown hysteria and delicate movements. ‘Truth Bomb’ is warped but melodic noise-pop that opens with skewed carnival-like chimes, vivid and swirling noise and collected vocalisms. About 1 minute and 15 seconds in the song indulges in some visceral crunch, which subsides, leaving the remainder of the song to play out in a plodding, ambient and psychedelic manner. This is a great song for those into a bit of warble, some sonic onslaught or feverish dream-pop.